SFC Zachary Allan Bannister, 33, of Sanford and Reynoldsburg, Ohio was killed in the line of duty Monday, October 17, 2016 while serving his country as a member of Alpha 3236, Company C, 2nd Battalion, 3rd Special Forces Group (Airborne) in Kenya. Zachary was a 2002 graduate of Reynoldsburg High School and played hockey with the CAHA high school travel team. Zachary served 14 years in the military with the Marines and the US Army. While with the Marines, he was stationed as an air-rescue firefighter at Marine Hdqtrs, Quantico VA. At age 26, he left the Marines to pursue his calling of becoming a member of the Special Forces. 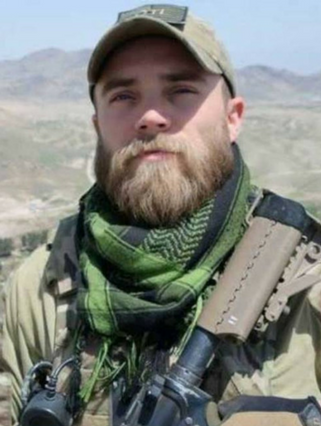 While serving two tours in Afghanistan, he was awarded three bronze stars, one with the “Valor” designation, the Meritorious Service Medal, Army Commendation Medal and numerous other unit and personal decorations. SFC Bannister is survived by his loving wife, Lindsay Albea Bannister of Sanford, his parents Scott A and Kimberly S Bannister of Portsmouth VA, Sister Anna Rachel McKean and husband Derek, nephew Brogan, niece Mia of Powell, OH, Grandmother Linda Bannister, Westerville OH, Grandfather James Bannister and wife Marlisa of Kiawah Island SC, Grandmother Carolyn Arthur, Kanawha City, WV, Great Grandmother Juanita Canterbury of Dupont City WV, three uncles, Richard and Diane Bannister of Westerville OH and their four daughters, Haley, Amie, Lindsay and Riley, David and Kelly Bannister of Hoover AL and their two daughters Lauren and Taylor, William and Yoko Canterbury III of Cornelius, NC and his son William (Ben), Father-in-law and mother-in-law Greg and Julie Albea, of Mills River, NC. Preceded in death by Grandfather William Canterbury II and Uncle Jason Canterbury.